Maggie. There’s nothing better than a warm summer day and fresh, soft green grass to roll around on. 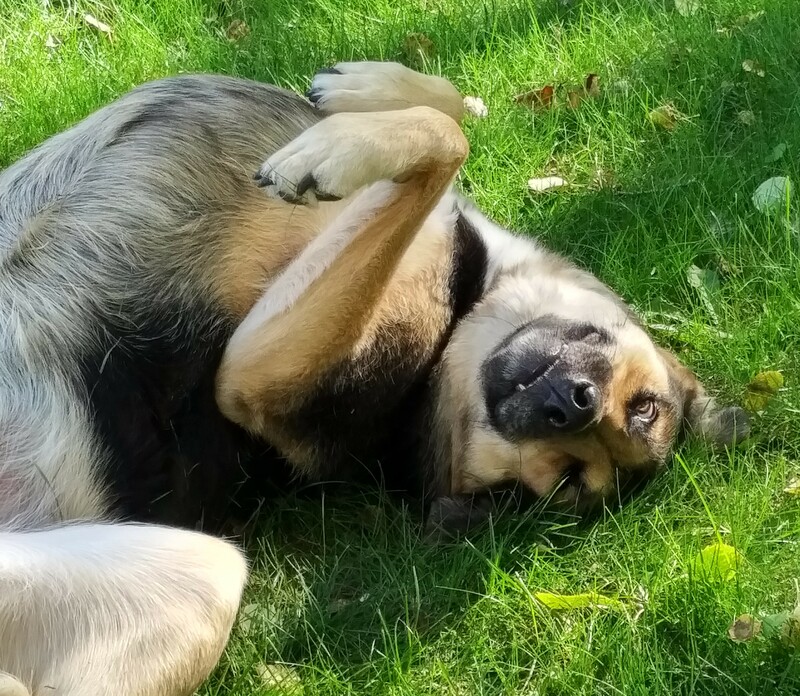 Well, maybe a treat is better, but for now rolling in the grass is the next best thing.